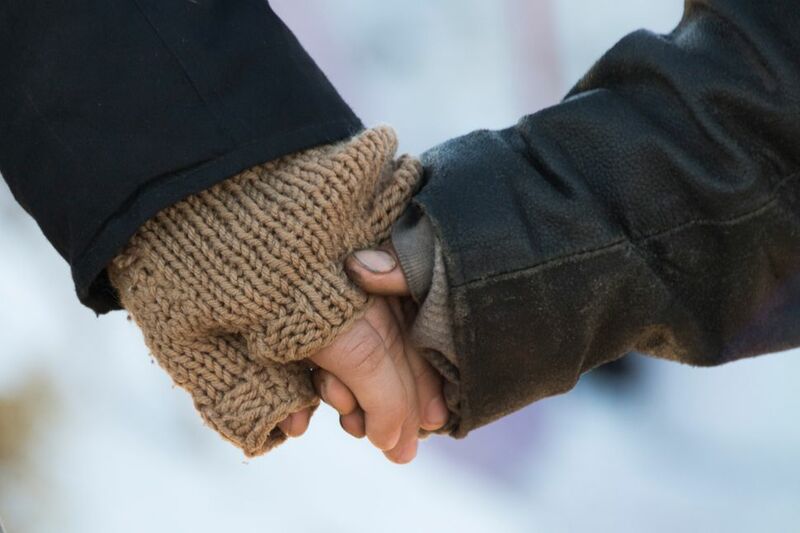 THIS IS WHAT VICTORY OVER THE DAKOTA ACCESS PIPELINE AT STANDING ROCK LOOKS LIKE | "Global Possibilities"
The tribe, along with scores of activists, fought for months to stop the pipeline’s construction. Fireworks fill the night sky above Oceti Sakowin Camp as activists celebrate after learning an easement had been denied for the Dakota Access Pipeline near the edge of the Standing Rock Sioux Reservation on December 4, 2016 outside Cannon Ball, North Dakota. 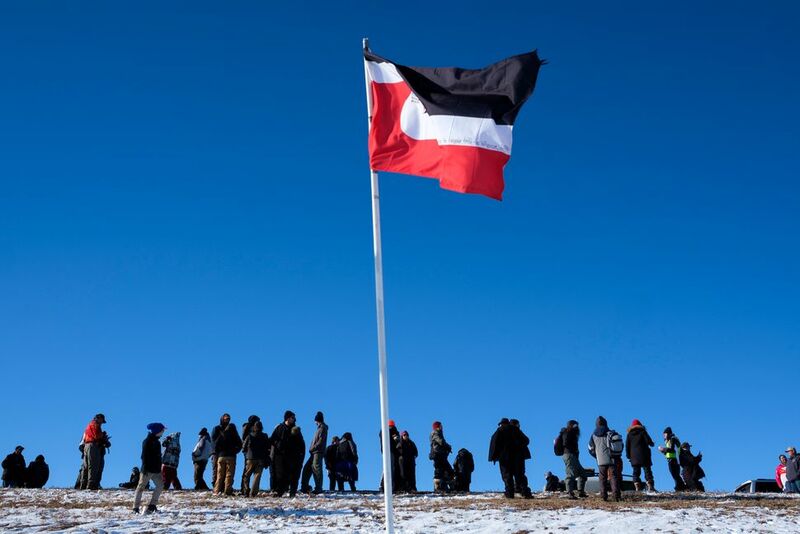 OCETI SAKOWIN CAMPGROUND, N.D ― The Standing Rock Sioux tribe and their supporters celebrated a historic victory Sunday after federal authorities halted construction of the controversial Dakota Access Pipeline. The 1,172-mile pipeline starts at the Bakken Formation in northwest North Dakota near the Canadian border and runs southeast to southern Illinois. See more images from the victory below. 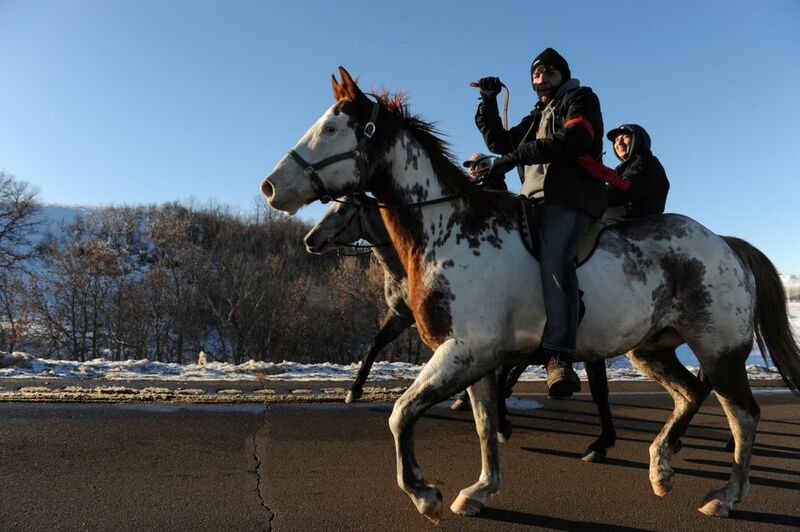 Dakota Access Pipeline protesters celebrate as they march back to the Oceti Sakowin campground after they found out the Army Corps of Engineers denied the easement to drill under Lake Oahe on Sunday, Dec. 4, 2016. 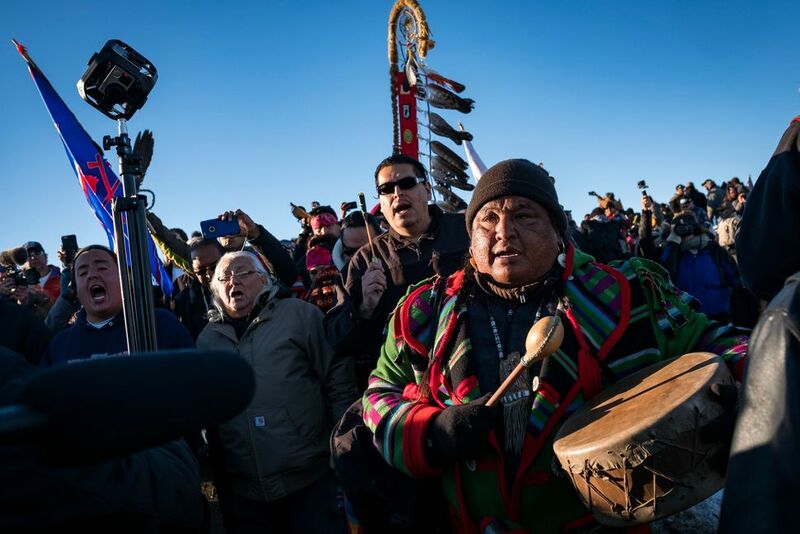 Drummers at the Oceti Sakowin campground perform a victory song. Lance King, 33, an Oglala Lakota from Lyle, South Dakota, celebrates with Kayti Bunny after the announcement that the Army Corps of Engineers denied the easement to drill under Lake Oahe for the Dakota Access Pipeline. 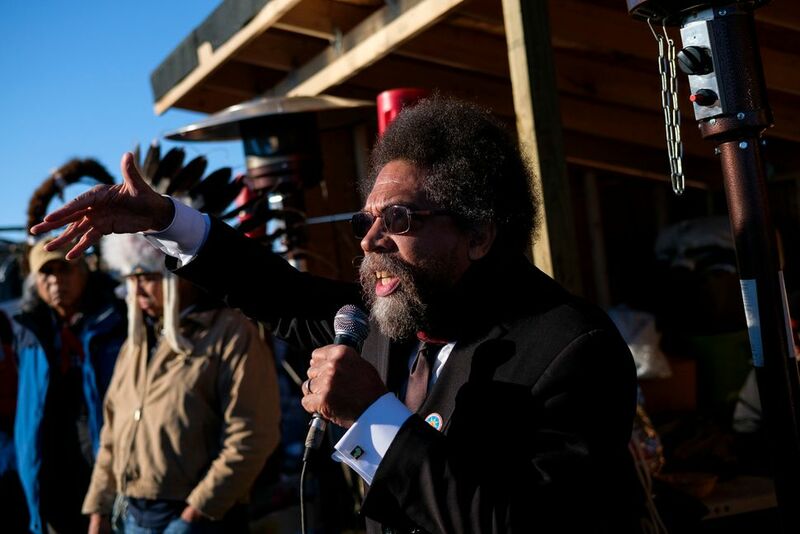 Lita Boyd, a veteran of the U.S. Army, leads a group of veterans to the checkin area at the Oceti Sakowin campground north of Cannon Ball, N.D.
Cornel West speaks during a multi-faith congregation at the Oceti Sakowin campground. 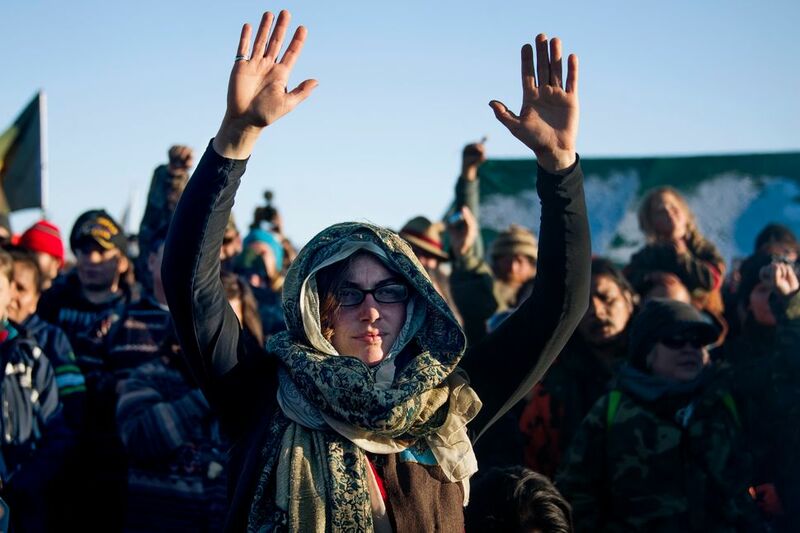 Dakota Access Pipeline protesters celebrate after learning that the Army Corps of Engineers denied the drilling permit to drill under Lake Oahe near Cannon Ball, North Dakota. 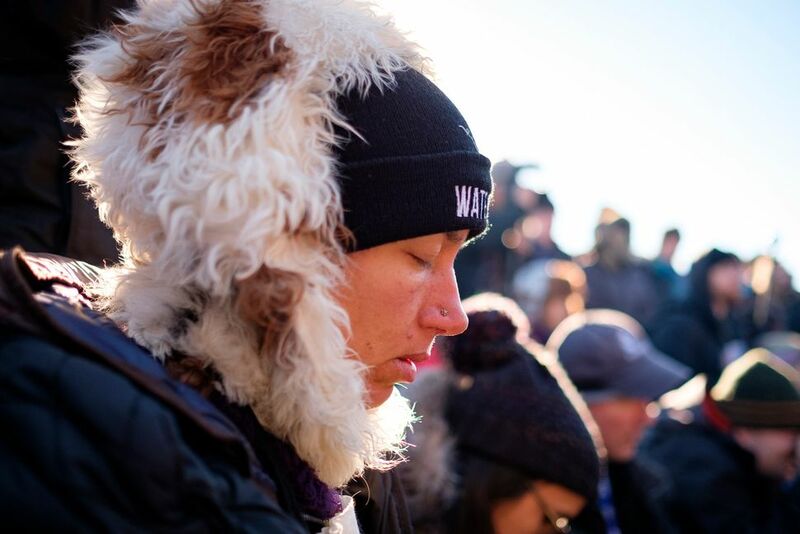 Tamara Bliss Sharp of Oakland, Calif. prays at the Oceti Sakowin campground. 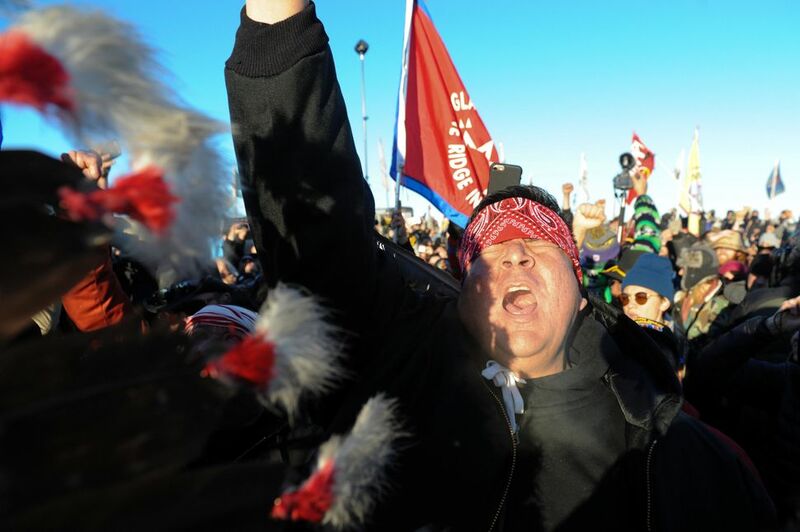 Dakota Access Pipeline protesters sing and celebrate after the Army Corps of Engineers announced they won’t be granting the easement to drill under Lake Oahe. 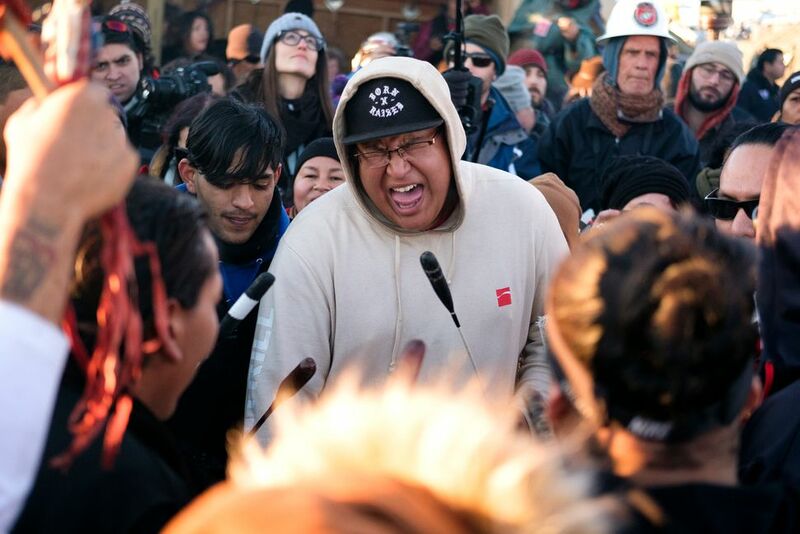 Thousands gather in the main area of the Oceti Sakowin campground to celebrate after the Army Corps of Engineers announced they will not be granting a drilling permit. 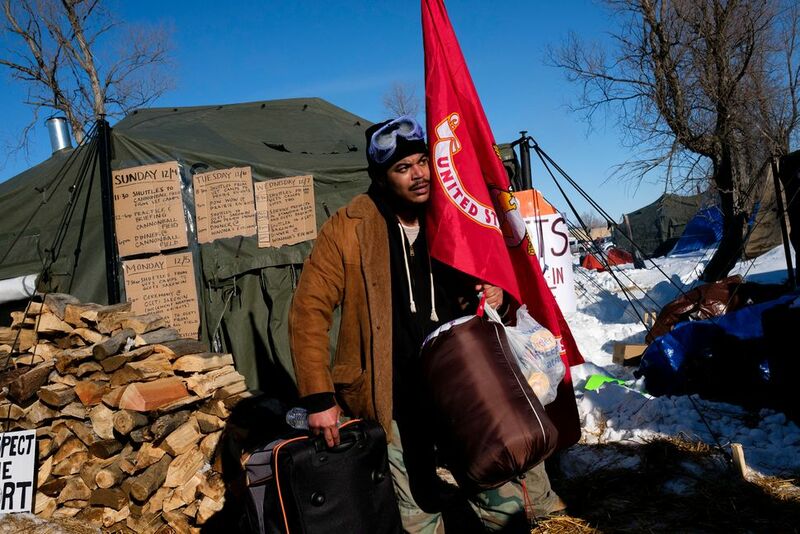 Evan Porter, a veteran of the U.S. Marine Corps, checks into the Oceti Sakowin campground. 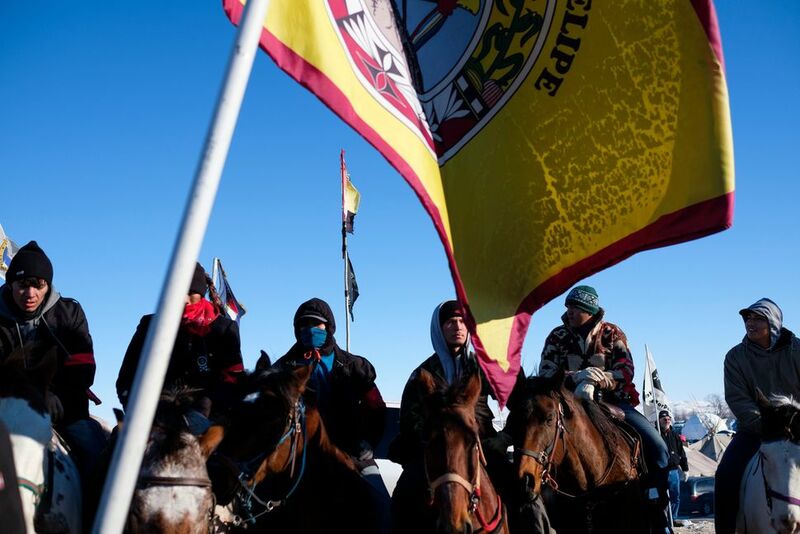 Horse riders meet at the Oceti Sakowin campground. 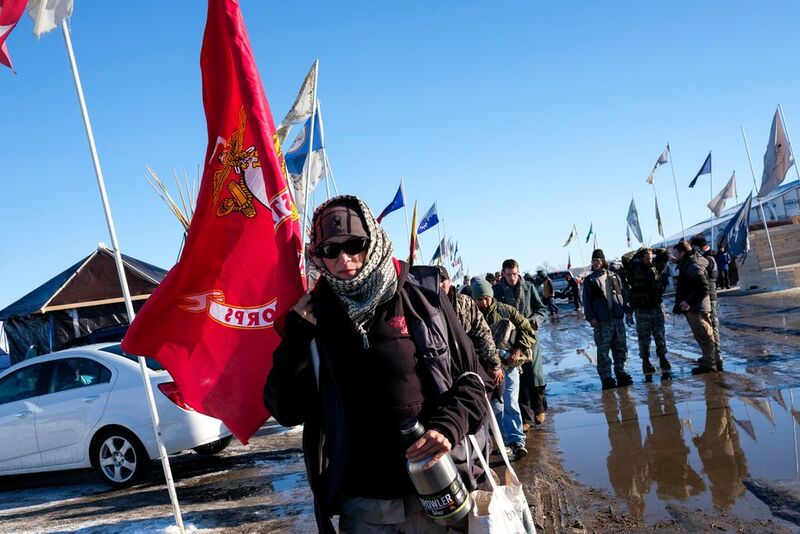 Dakota Access Pipeline protesters participate in a victory march to the Oceti Sakowin campground. 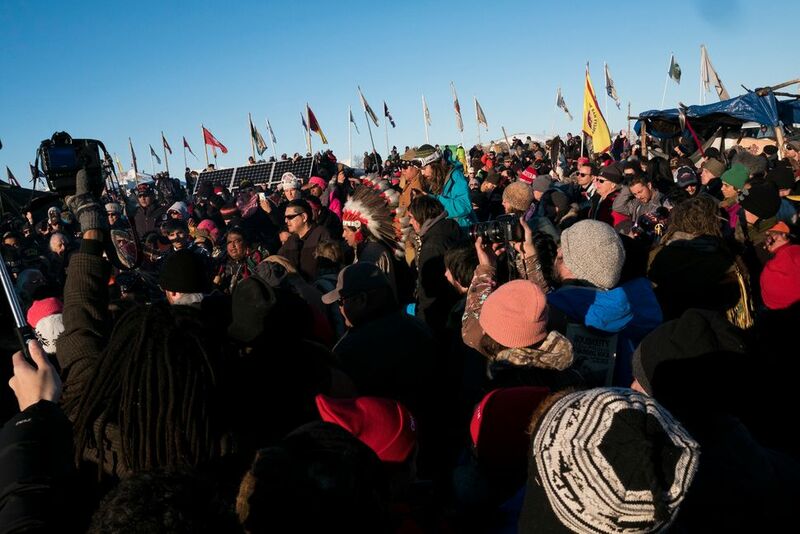 The Showdown at Standing Rock is a win for Native Tribes. 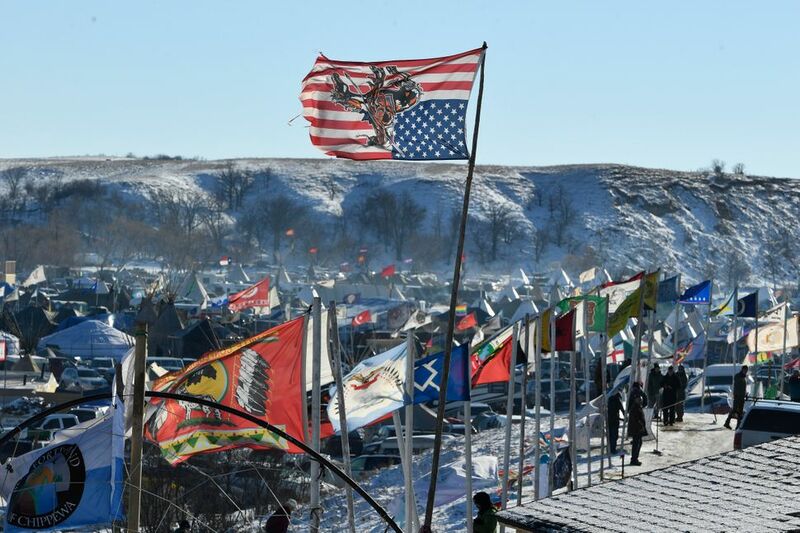 The U.S. Army Corps of Engineers turned down a key permit for a the Dakota Access Pipeline that was slated to drill beneath the Missouri River and through sacred Sioux grounds on Dec. 5, 2016. 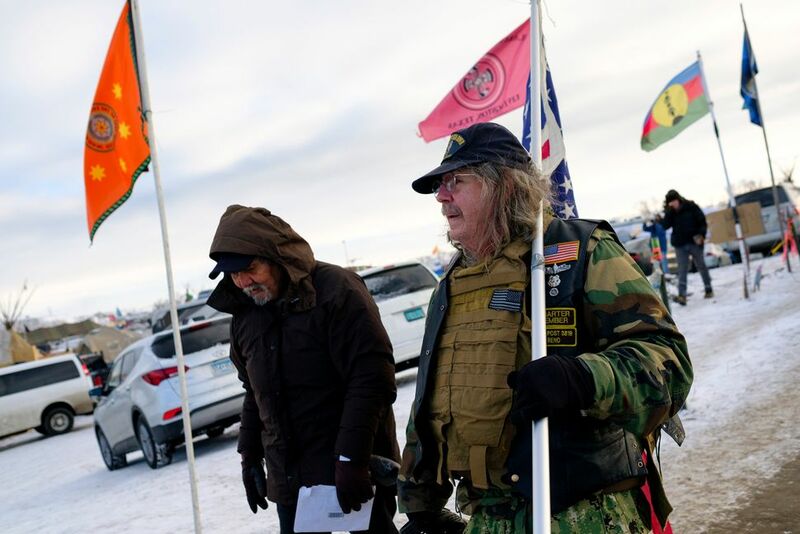 Rob McHabey, right, a U.S. Navy veteran, walks with Ben Wright, left, a U.S. Army Veteran, at the Oceti Sakowin campground. 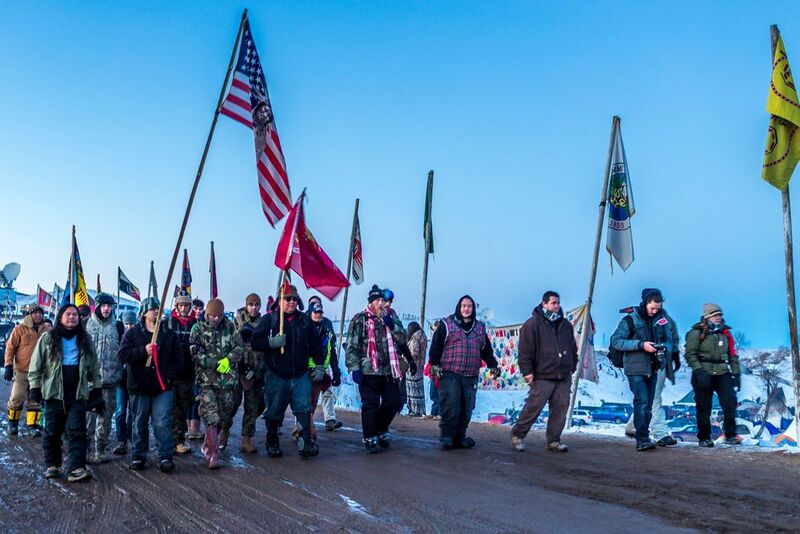 Dakota Access Pipeline protesters congregate on North Dakota Highway 1806 north of Cannon Ball, N.D.
Dakota Access Pipeline protesters celebrate as they watch a group of veterans march into the Oceti Sakaowin camp. 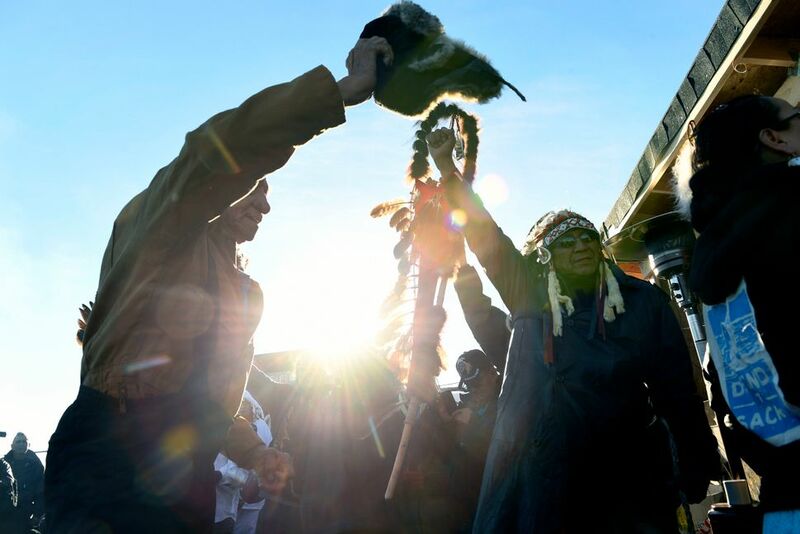 Troy Fairbanks, right, of the Standing Rock Sioux tribe cheers after hearing Chief Arvol Looking Horse announce to members of over 300 nations that the pipeline’s construction has been halted. camp on the Standing Rock Sioux Reservation. camp at Oceti Sakowin Camp on the edge of the Standing Rock Sioux Reservation. 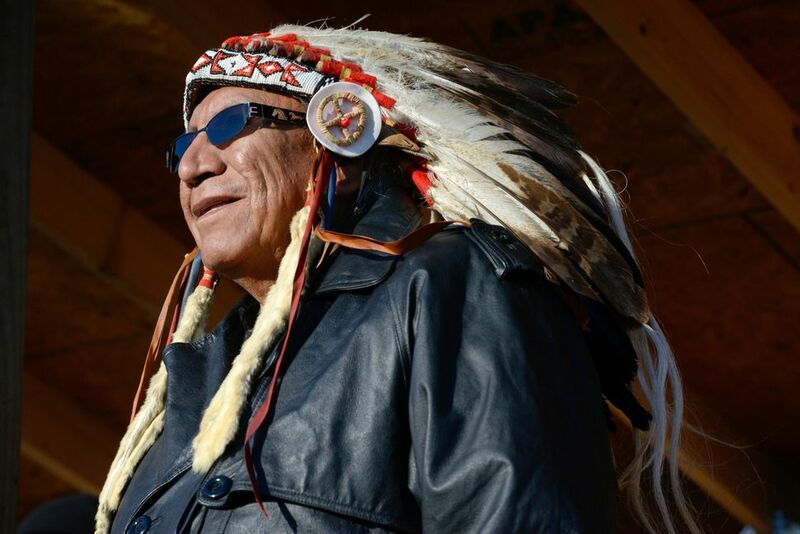 Chief Arvol Looking Horse arrives to the Oceti Sakowin campground north. 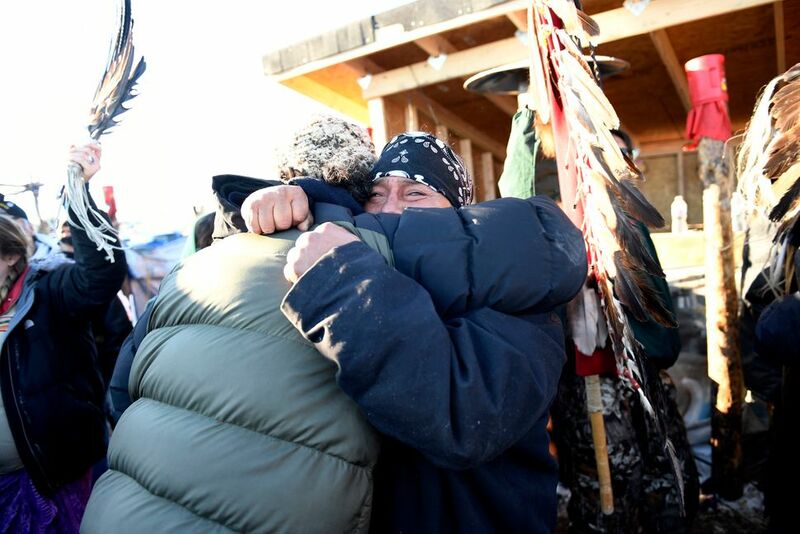 Activists celebrate at Oceti Sakowin Camp on the edge of the Standing Rock Sioux Reservation. 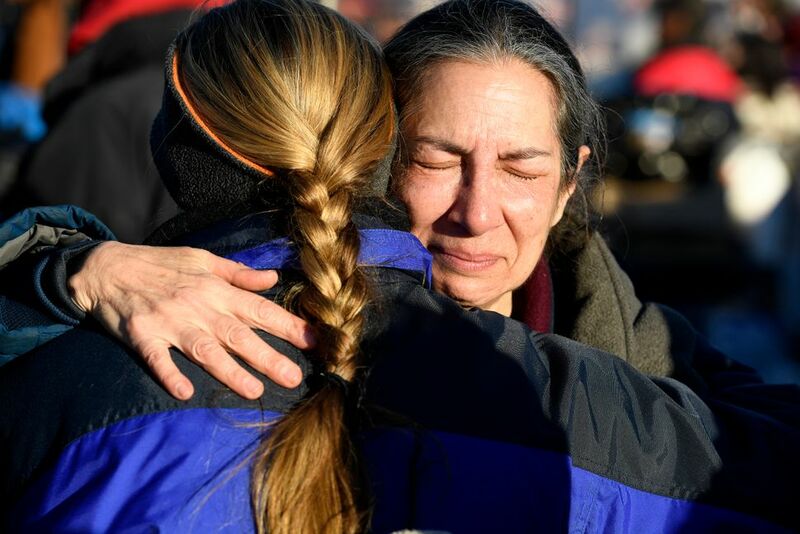 Troy Fairbanks, right, of the Standing Rock Sioux tribe, holds back tears as he hugs a friend after hearing Chief Arvol Looking Horse announce, to members of over 300 nations, that the US Army Corps of Engineers will no longer grant access to the Dakota Access Pipeline to put their pipe line on the boundary of the Standing Rock Sioux Reservation. 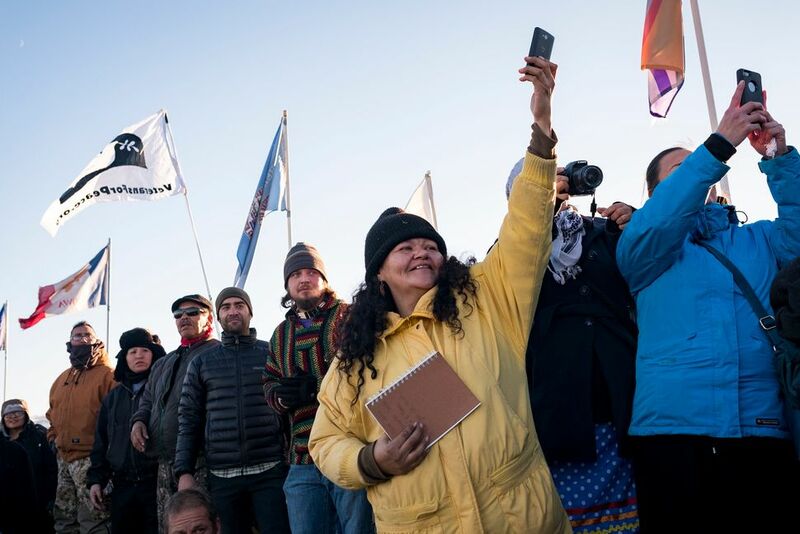 People celebrate in Oceti Sakowin camp as “water protectors” continue to demonstrate against plans to pass the Dakota Access pipeline near the Standing Rock Indian Reservation. 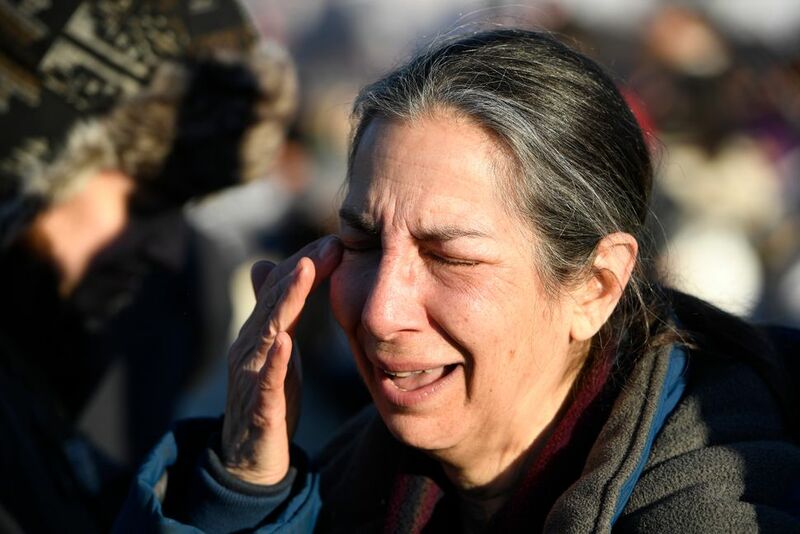 Activist Brenda Cohen cries tears of joy as she celebrates at Oceti Sakowin camp on the Standing Rock Sioux Reservation. 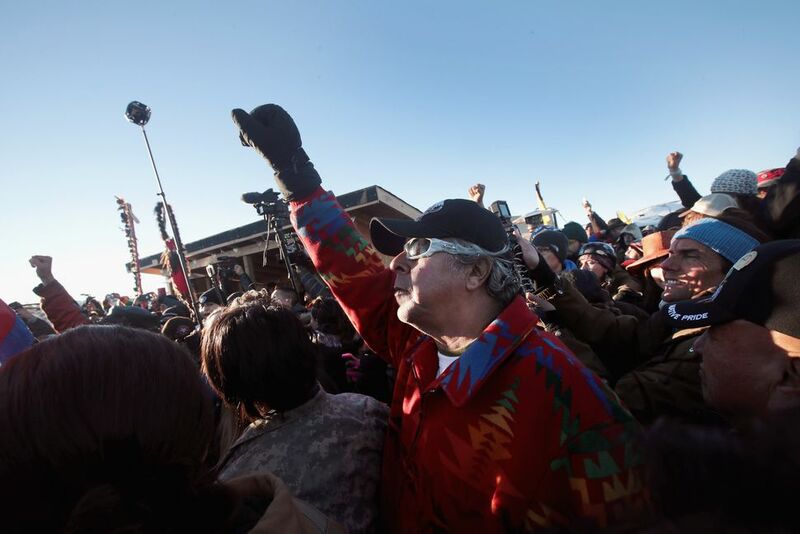 Native American and other activists celebrate after learning an easement had been denied. 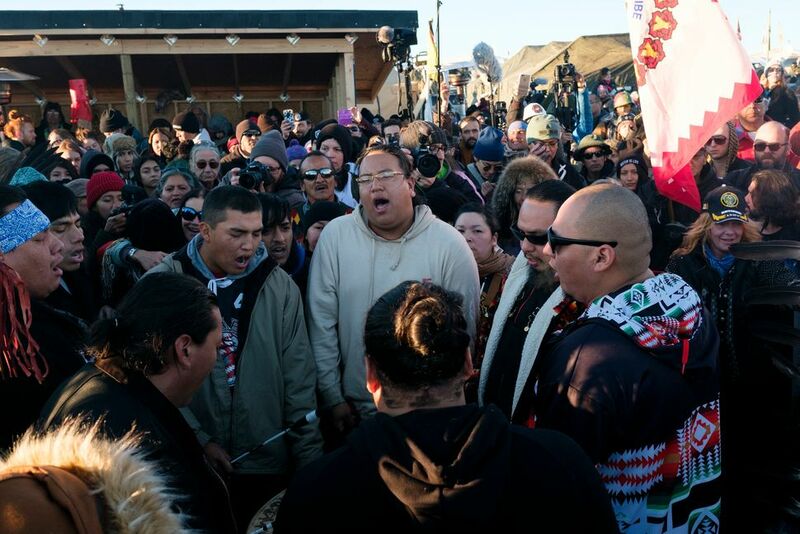 People celebrate in Oceti Sakowin camp. 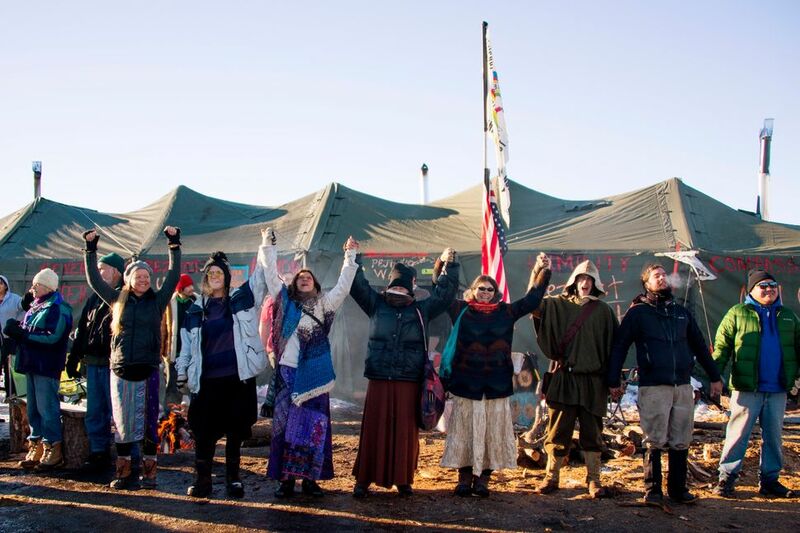 Native American and other activists celebrate. 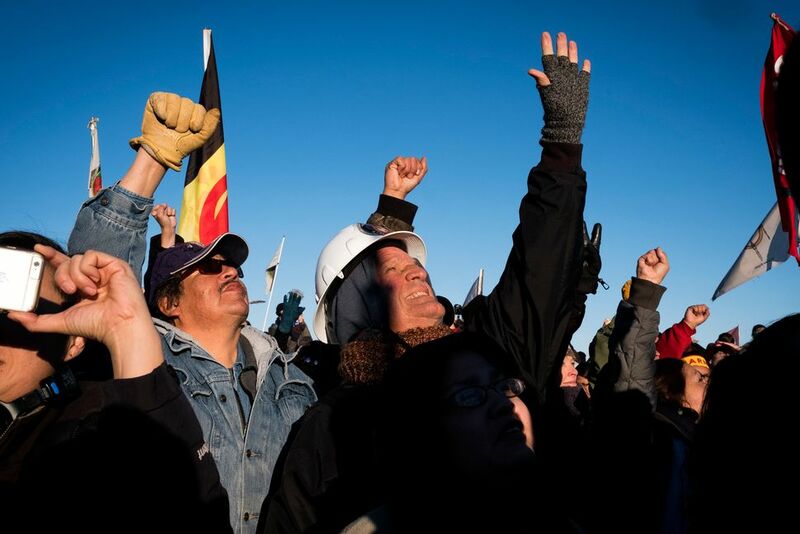 Native americans lift up their hands to celebrate their victory. 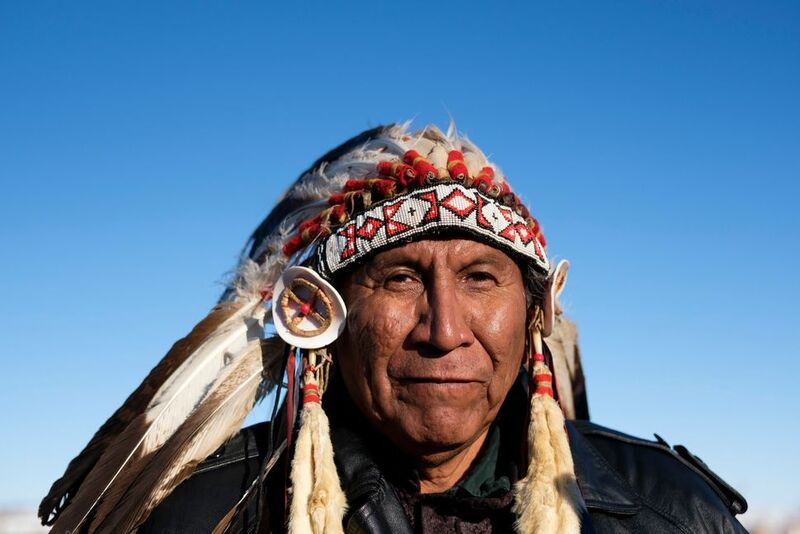 Arvol Looking Horse, spiritual leader of the Sioux nation, participates in a ceremony in Oceti Sakowin camp. 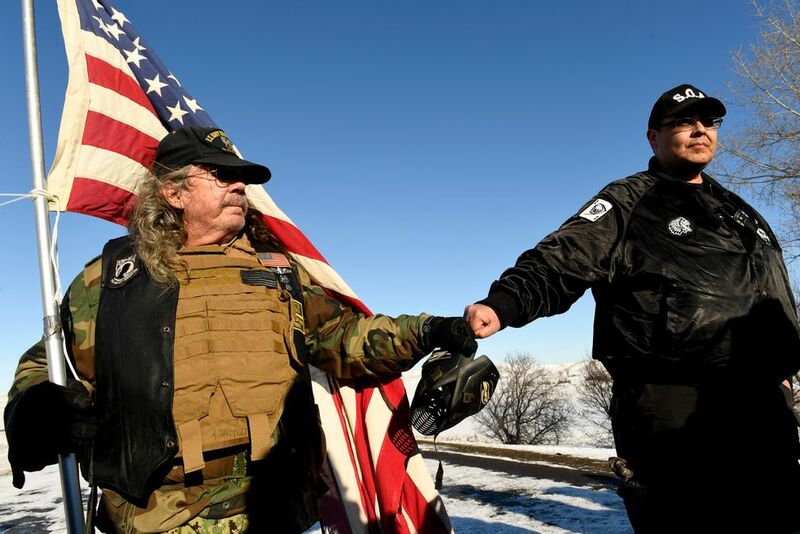 US Navy veteran Bob McHaney, left, and Bill Runningfisher, of the Gros Ventre nation, right, press their fists together in solidarity while on a bridge near Oceti Sakowin Camp on the edge of the Standing Rock Sioux Reservation. 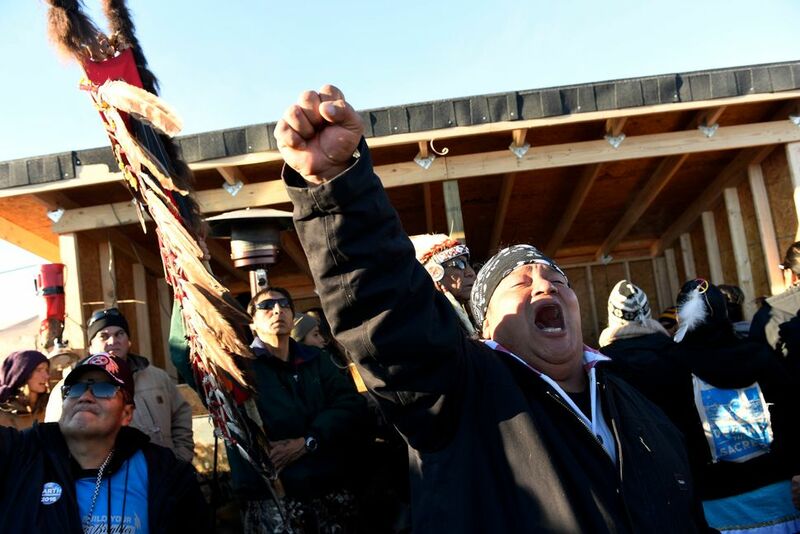 Activists celebrate at Oceti Sakowin Camp. 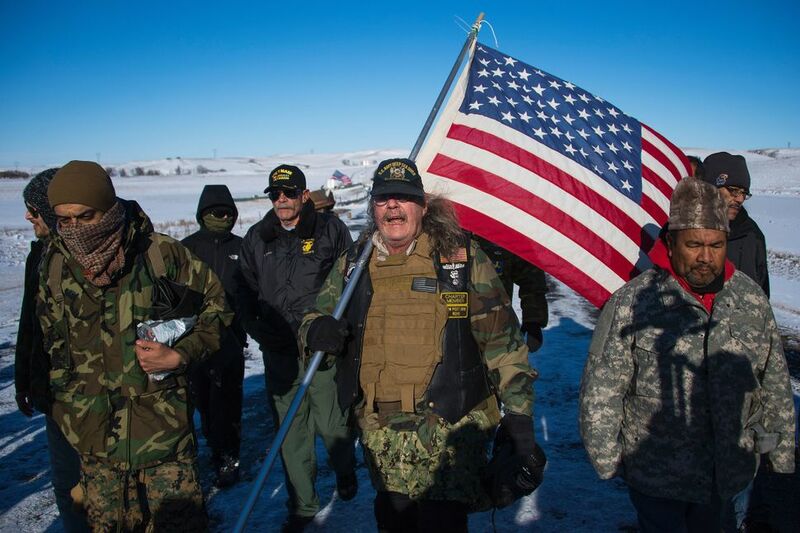 U.S. Navy deep sea diving veteran Rob McHaney (C) holds an American flag as he leads a group of veteran activists back from a police barricade on a bridge near Oceti Sakowin Camp on the edge of the Standing Rock Sioux Reservation. 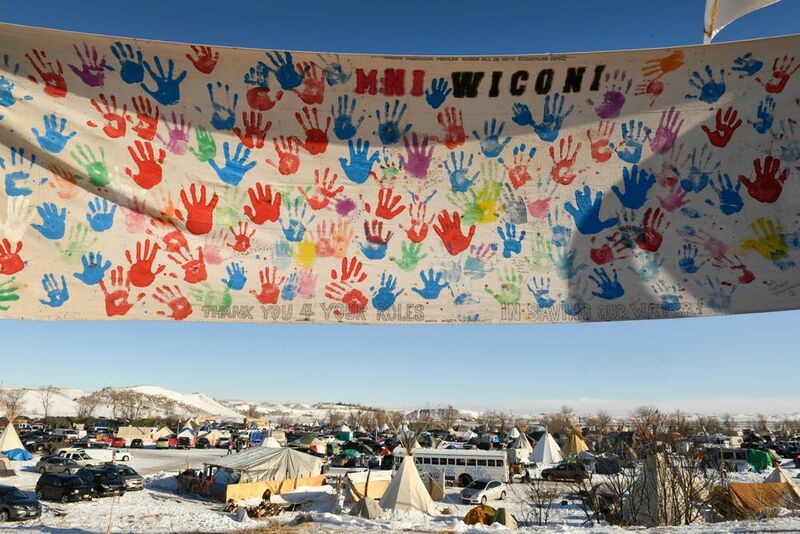 The encampment at Oceti Sakowin camp on the Standing Rock Sioux Reservation. 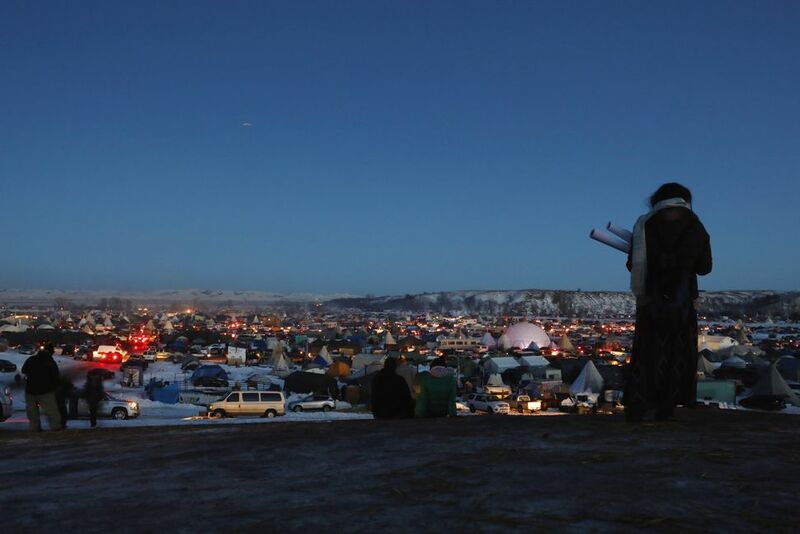 A woman looks out over the Oceti Sakowin camp as activists celebrate. CORRECTION: A caption for a photograph previously included in this article misidentified a pair of feathers as eagle feathers.